The streamers' latest kids original is based on Instagram posts by animator Matt Layzell. 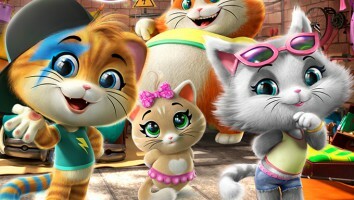 Continuing its choose-your-own-adventure original content strategy, Netflix has greenlit Battle Kitty, a new animated interactive series inspired by animator Matt Layzell’s The Adventures of Kitty & Orc Instagram posts. Though Netflix hasn’t revealed the exact details of the show’s interactive format, the series will invite kids to navigate their own adventures in a futuristic-medieval world and join the series’ titular character on a monster-defeating quest. 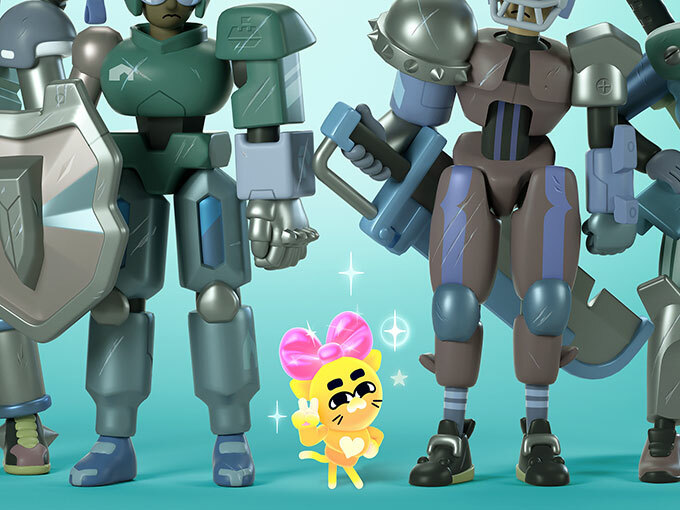 Like Layzell’s Instagram character, Battle Kitty will be portrayed as an aspirational underdog who uses super-strength, intuition and an arsenal of accessories to unlock new battle levels. Layzell will serve as a first-time showrunner, as well as an executive producer on the series. He has previously worked as an animator on Cartoon Network’s The Amazing World of Gumball, a supervising producer on CN’s Apple and Onion, and a supervising director on both Nickelodeon’s Sanjay and Craig and Netflix’s Pinky Malinky. Run time, episode count, premiere date have not yet been announced, and no production company is attached to the project at this point. The series joins Netflix’s growing slate of animated interactive kids series, including Minecraft: Story Mode (Telltale), Stretch Armstrong: The Breakout (Hasbro Studios), Puss in Book: Trapped in an Epic Tale (DreamWorks Animation Television) and Buddy Thunderstruck: The Maybe Pile (American Greetings Entertainment), all of which predates the massive success of the interactive Black Mirror: Bandersnatch for its adult audience, and its newly-announced choose-your-adventure TV series You vs. Wild starring Bear Grylls. Layzell’s series also comes on the heels of other social media-inspired kids projects, including Mattel’s Enchantimals IP based on Insta’s popular canine-selfie feature and Gigglebug’s upcoming Gif This series, which is inspired by the popularity of digital looping photos (a.k.a. gifs).